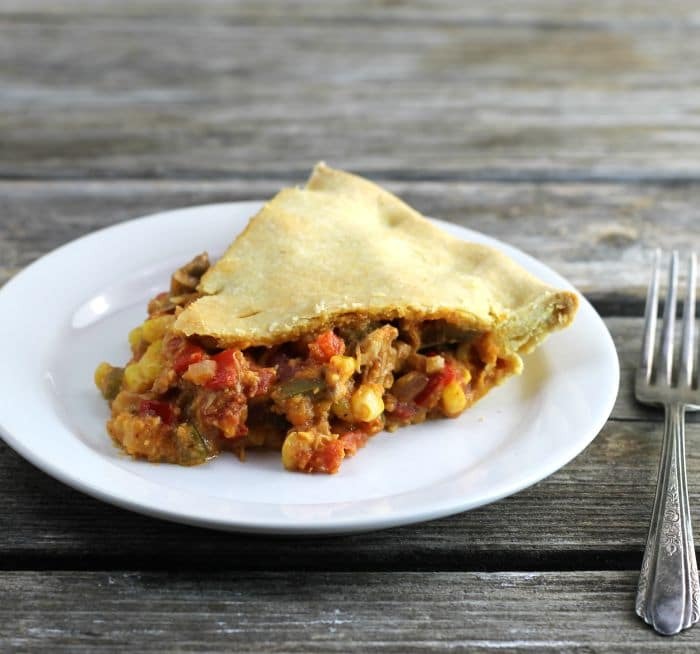 Southwestern chicken pie, is made with a pie crust that has a touch of cornmeal in it, which brings the whole pie together. I have always been a fan of pot pies. 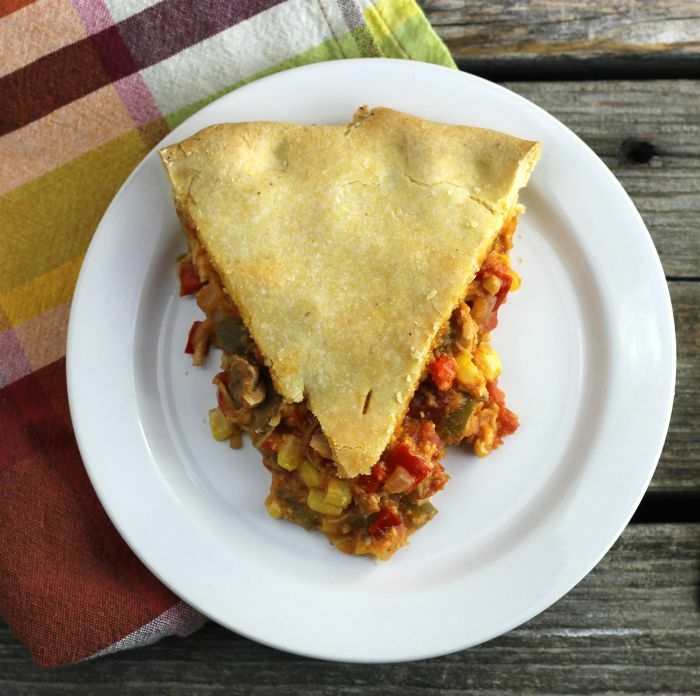 I love the idea of chicken and with veggies all stuffed between a double crust pie. It is one of my all-time favorite comfort foods. This Southern chicken pie is reminiscent of my beloved pot pies. 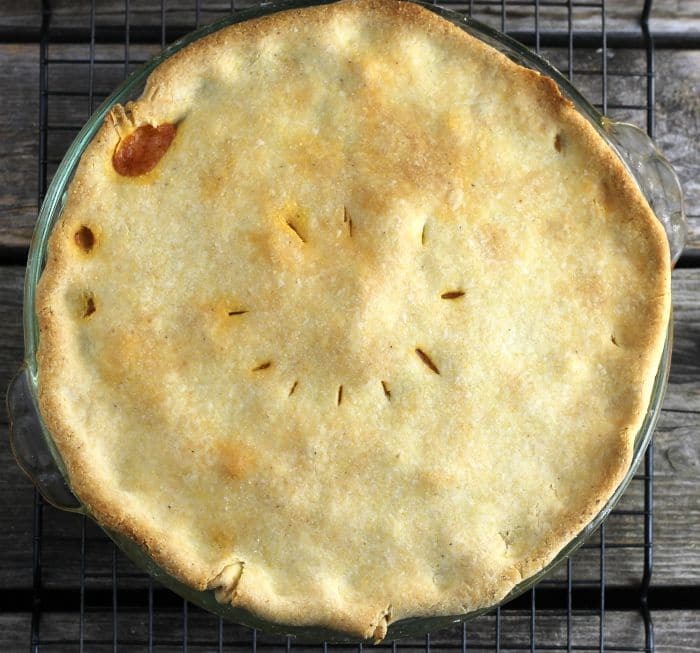 Although the crust is not the flaky crust that you find on your everyday pot pies. This crust actually has some cornmeal as one of the ingredients. I am partial to adding chicken when it comes to making meat pies, but if you prefer you prefer you can use ground beef instead of the chicken. How to top off a slice of Southwestern chicken pie. Heat olive oil in a skillet. Add the green pepper, red pepper, onion, and garlic to the skillet. Cook for 8 to 10 minutes or until tender. Stir in the chicken, tomatoes, and corn. Mix the seasoning together and add to the chicken mixture and stir in. While the vegetables are cooking mix together the pie crust. Divide the dough in half. Roll on a lightly floured surface until the dough to fit the pie pan. You will want enough to hang over the edge. Place the rolled dough into the pie pan and add the filling. Roll out the top of the pie crust. Lay the top crust over the filling and pinch the ends of the crust together. Cut slits in the top of the pie crust. Bake in a preheated oven that has been heated to 400 degrees F. Bake for 35 to 40 minutes until the crust is golden brown. Cool for 5 to 10 minutes and serve. Can you believe that I have never made a chicken pie? This looks so comforting and yummy, Dawn. This sounds delicious, Dawn! And I bet the cornmeal in the crust gives it a bit of a tamale feel. I definitely need to try this one…I love the flavors you used in the filling! It’s been ages since I’ve made a pot pie! And now I’m SO craving one — this one, in particular. I’ll bet it’s flavor is lovely. And it looks so nice! Great dish — thanks. 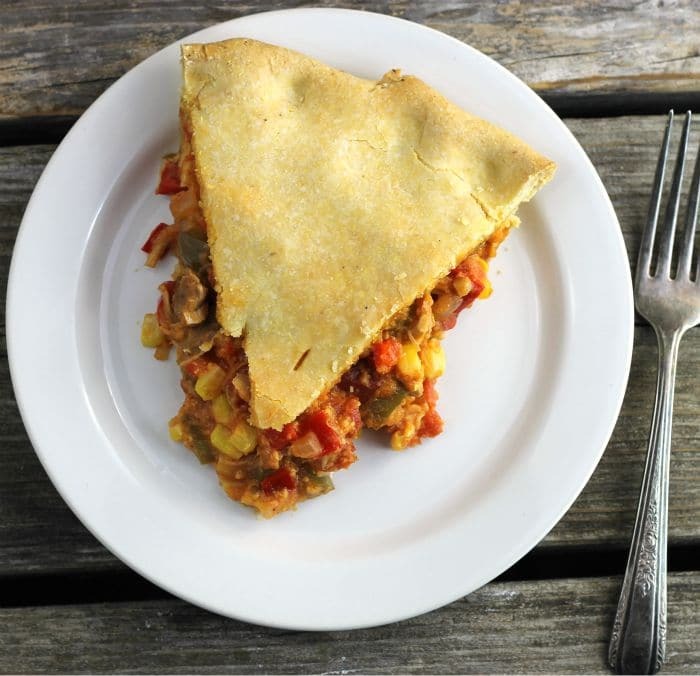 My hubby loves pot pies and I can’t wait to treat him to this wonderful southwest version!!! Happy Easter, Dawn! Oh my!! I love everything about this recipe!! My family loves these spices and I’m gonna top my slice with some sour cream for sure. YUM!